Discover a New Career at Lincoln Village! 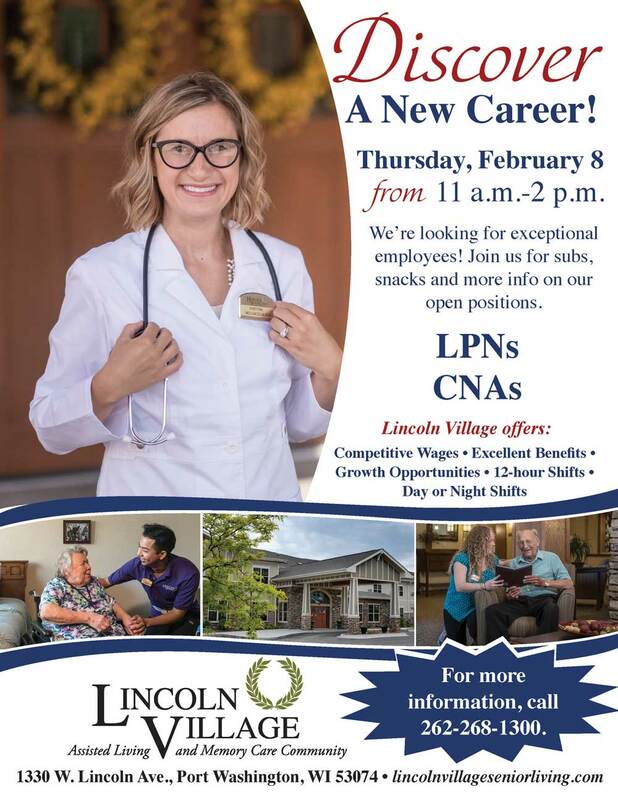 Lincoln Village is now hiring for LPNs and CNAs! Join us on February 8 for our Career Discovery Fair to learn more. We’ll have subs, snacks and more info on our open positions. For more, info, call 262-268-1300. Join us at Lincoln Village’s Independent community for a Chili Open House. 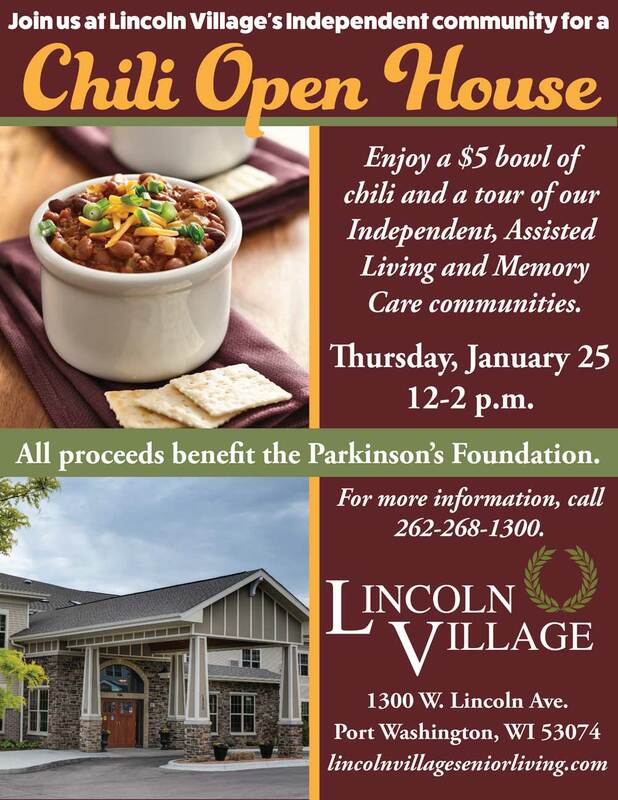 Enjoy a $5 bowl of chili and tour of our Independent, Assisted Living and Memory Care communities on Thursday, January 25 from 12-2 p.m. All proceeds benefit the Parkinson’s Foundation. 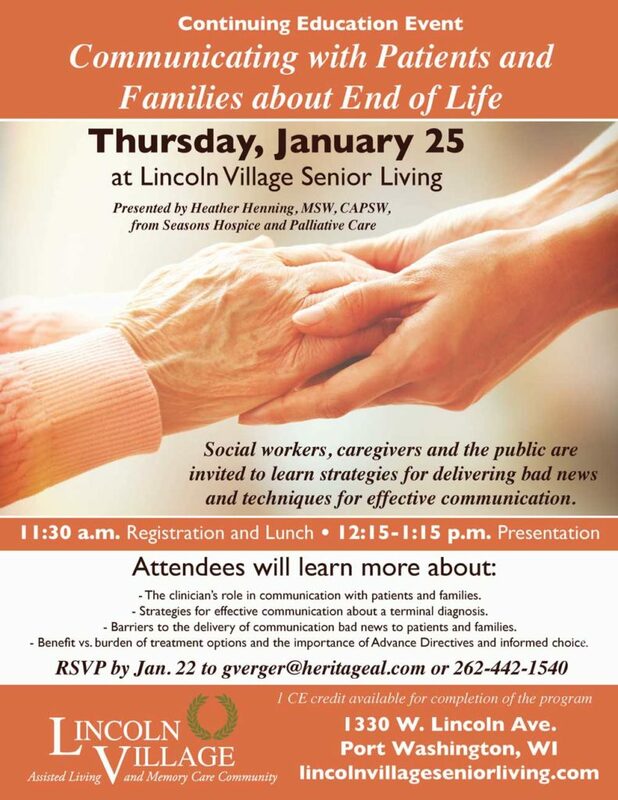 On January 25, Lincoln Village will be holding a continuing education event for social workers, caregivers and public. This event, presented by Heather Henning of Seasons Hospice and Palliative Care, will teach strategies for delivering bad news and techniques for effective communication. Attendees will learn about the clinician’s role in communication with patients and families; strategies for effective communication about a terminal diagnosis; barriers to the delivery of communicating bad news to patients and families; and benefit vs. burden of treatment options and the importance of Advance Directive. 1 CE credit is available for completion of the program.